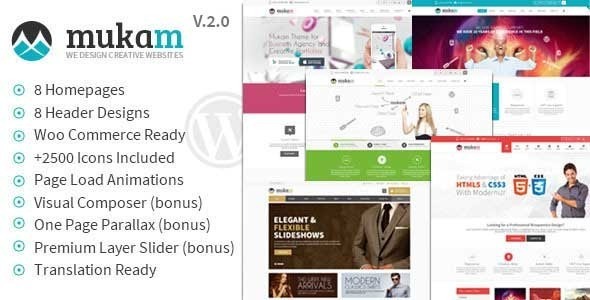 Mukam Limitless Multipurpose Responsive Theme is a Wordpress Theme, Fully Responsive with 8 Different Headers. 8 Different Top Sections on/off, +20 Ready Sliders, Page Load Animations that you have never seen before plus Parallax Backgrounds that blow your mind. Woo-Commerce ready, Mailchimp and Contact Form 7 ready. Lots of shortcodes, google maps, video, and much more features? Great deal to buy for any kind of websites!